Antwerp, Belgium: – Innovative Belgian contract manufacturing organization Laboratoria Smeets (LaboSmeets) has teamed up with Vivadis Italia to make a new range of organic-based medicines and dietary supplements available for the Italian market. 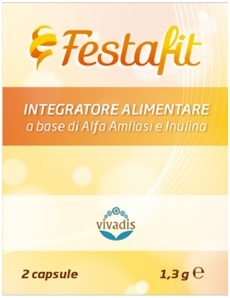 The new products will be marketed by Vivadis Italia and include an innovative supplement that combats the post-meal fatigue associated with Italy’s national dishes of pasta and pizza, as well as a supplement to stimulate libido In both sexes, based on LaboSmeets patented Libidosine® formula and an anti-hangover cure, Festa-Fit. “I suppose you could say we are helping Vivadis Italia cater for Italians three supreme passions of eating, drinking and making love,” commented Laboratoria Smeets’ Managing Director, Jef Verplaetse. “We are very pleased to be working in close liaison with such an innovative company as Vivadis and its passions for finding solutions that are both sustainable and natural,” added Mr. Verplaetse. Vivadis Italia will launch six new products over the coming weeks. All were developed in house at LaboSmeets laboratories in Antwerp, drawing on LaboSmeets expertise in increasing active ingredient bioavailability and powders development. The products are summarised below. 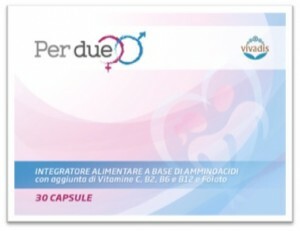 Per due (Italian for ‘both’) is a dietary supplement designed to stimulate libido for women as well as men. The action is based on influencing testosterone and dopamine levels in the body. Its efficacy is based on extensive research of the biochemical pathways of mechanisms that can restore natural levels of both testosterone and dopamine, with consequent impacts on sexual desire and arousal responses. In addition, Libidosine’s formulation incorporates a major precursor of NO, to increase vasodilatation, enhancing erectile function. 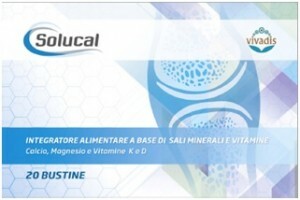 Solucal is a calcium-magnesium powder supplement, which is 100 percent water-soluble and hence bioavailable, contains also vitamins K and D.
Pastalase is a supplement that helps to combat the carbohydrate-related fatigue often experienced after eating pasta or pizza. Festa-Fit is a capsule-based medicine design to combat alcohol hangover. 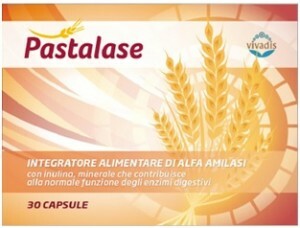 It is based on the protein enzyme alpha-amylase and the oligosaccharide dietary fiber inulin. 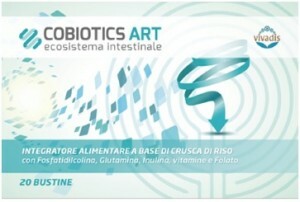 Cobiotics is a soluble powder that helps to restore a healthy digestive ecosystem in the gut. 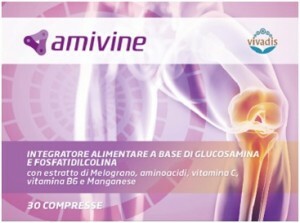 Amivine is a new concept designed to restore cartilage that is clinically proven for humans and animals. Vivadis S.A specializes in the production and distribution of herbal health products. Peruvian-born entrepreneur Virginia Atala Vivanco founded the company in Belgium in 1999. Mrs. Atala Vivanco set up Vivadis as a sustainability project to further her passions for equal opportunities and fair sharing of world resources. The Vivadis vision is to achieve medicinal and therapeutic efficacy by drawing on the natural realms of human spirit, animal, vegetable and mineral to achieve health solutions that are balanced, organic and sustainable. Vivadis is incorporated under Belgian law, headquartered in Brussels, with subsidiaries in Milan, Italy, and Lima, Peru. Vivadis products are available in Western Europe, South America and parts of North America. Click on LaboSmeets helps Vivadis pioneer organic health solutions for Italy for more information.